Or at least, that's the ruling today in the court of public opinion. 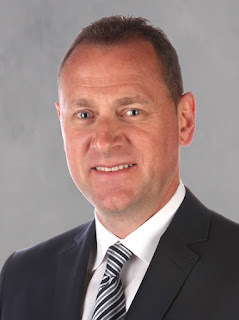 Meet Calgary Flames general manager Brad Treliving, who right after getting it so right on Monday with the signing of Jaromir Jagr, apparently got it so wrong on Tuesday signing Tanner Glass. Check the calendar. The GM either knows exactly what he's doing, or he's absolutely clueless, depending on which day of the week it is. The last 24 hours really have been a spectacle to watch. Shortly after the jubilant dancing in the streets over the news Treliving had shrewdly signed a future first ballot hall-of-famer to play alongside Sam Bennett, those same streets were filled with fan outrage. All the goodwill built up by bringing in the mulleted legend seemed instantly gone with the press release that the mastermind-turned-dummy had also signed Glass. Yep. Same guy, who hours ago, knew exactly what his team needed to take that next step, suddenly doesn't have a clue. Sorry Brad, but this is a hockey market and benefit of the doubt is a commodity not available here. This is an oil and gas town. Oh, and we sell a lot of cowboy hats. Tanner Glass is one of the worst players of the last decade... nobody should value "toughness" that much outside of teenage boys. On the downside today, Tanner Glass is still in camp and taking line rushes with the Flames fourth line. Treliving is so smart, so why on earth would he do something as dumb as sign tanner glass? Don't worry, be happy? Pfft. Indicative of one of the issues we seem to have as a society, it seems people are never content. Rather than enjoying the beautiful flower garden, we fixate on that bit of crabgrass. You got 80 percent on your exam? Well, what question did you get wrong? It's as if the only one of the seven dwarfs to procreate was Grumpy. For most of the day Monday -- the falling of snow certainly adding to it -- it felt like Christmas Day around Calgary. Fans had opened up that gift and inside was a super cool remote-controlled race car with No. 68 emblazoned on the hood. Awesome! Yet, less than 24 hours later, the festive NHL regular season was ruined when inside the other box was a onesie. Well that's dumb, what use does this have? Talk about a mood killer. You've seen Buzz Lightyear PJs before. Well, here are some Buzz Kill pajamas. When veteran defenceman Deryk Engelland left Calgary in the summer, signing with Las Vegas as a free agent after being selected in the expansion draft, it left behind a void. Not the most-skilled player, Engelland was the team's toughest guy and it wasn't close. His fight in Vancouver in the playoffs when he fought two Canucks at the same time -- then chirped the home bench to send over three guys next time -- was legendary. Engelland was the type of revered physical presence that skilled players in the NHL like having in the line-up. Engelland may have had a dime-a-dozen skill set when it came to his basic hockey skills, but those came in a big package and wrapped in a couple layers of coveted intangibles that gave him value that most fans grew to appreciate over time. It's an element Calgary paid dearly to acquire too, signing as a UFA three years ago to a deal that paid him just under $3 million per season. With Engelland gone and the departure of Lance Bouma too, you knew the Flames were going to address that void, you absolutely knew it. Sure enough they did, only this time it came cheaper. Much cheaper. The deal Glass signed was for the league minimum of $650,000 on a one-year term. With the provincial rival Oilers deploying the likes of Patrick Maroon, Milan Lucic, Zack Kassian and Darnell Nurse, the Ducks deploying their usual cast of you-know-what-disturbers -- Corey Perry, Josh Manson, Ryan Kesler and Nick Ritchie. The other heavyweights battling Calgary for top spot in the Pacific Division this season are exactly that -- heavyweights. Already feeling as if they get bullied around by those teams, Calgary was in jeopardy of falling into the lightweight division. At least with Glass now, that gives them some 'punch' and a good dose of that always-sought-after truculence. Let's call them welterweights now. Travis Hamonic, the replacement for Dennis Wideman, does have some vinegar in his game, but let's face it, he's not here for that. His priority is to allow TJ Brodie to flourish. Micheal Ferland was a player feared league-wide in the WHL five years ago, but that's far from his primary MO anymore. He's a different guy now, plus he's playing on Calgary's No. 1 line. Matthew Tkachuk is a thorn to play against, but he's also of a different ilk. There was no room at the inn on the blueline this September to bring in that element of toughness either. 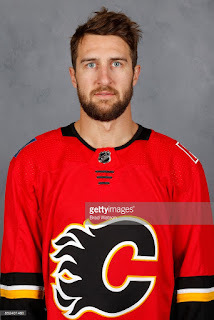 The candidates to replace Engelland -- Brett Kulak, Matt Bartkowski, Rasmus Andersson -- are better known for their first pass than their angry stare. Given that, you just knew that fourth line winger is where that grit was going to be added. That was reflected in what you saw unfold in training camp. Look at the players brought in -- veteran tough guy Luke Gazdic signed to a two-way deal and given an NHL audition. Cantankerous Joseph Cramarossa brought in on a PTO to audition for that opening. Internally, Garnet Hathaway was another option. So was Glass, also on a PTO. Of those four, the music stopped Tuesday and only one remained. With the Flames opening the season against a gauntlet of four straight big-and-nasties -- the Oilers, the Jets, the Ducks and Kings -- you can fully expect to see Glass not just on the roster, but in the line-up for every one of those tilts. "It's going to be fun. I love the rivalry games. They tend to suit my style of play and my game," said Glass after practice on Tuesday. "I know the game is changing, probably away from that type of player, but you talk to (skilled) guys, they like to know they're taken care of and it's something I have no problem doing and I'm proud to do." Is Glass going to score a bunch of goals? No. Is he going to create a lot of chances? No. Are his analytics going to be very good? Probably not. But what coaches like about him and why Alain Vigneault loved him in New York is he knows his role and he's good at it. Glass gets in on the forecheck hard, he throws his weight around and he creates wear and tear on the chassis of opposing defencemen. There's value to that and it's why the 33-year-old has kicked around the league for all these years. "He's a big, heavy body that provides energy," Gulutzan says. "A lot of fighting has gone out of the game. What's intimidating now is guys that can skate and punish you and will finish checks through you and he can do that." The effectiveness of that was on display in the playoffs last year when the Rangers fourth line of Glass, Oscar Lindberg and J.T. Miller wreaked havoc on Ottawa. 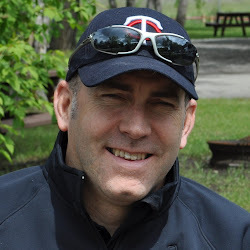 "He was very effective for them in the Ottawa series. So much so that Ottawa had to change their line-up a little bit in response to the Rangers having Glass in," says Gulutzan. "He adds that element of intimidation through hard work and physical play and that's important to a hockey club. It's good energy." Glass signing is irrelevant to Jankowski demotion, you knew #Flames were adding toughness. Dispute should be why F. Hamilton over Jankowski. "Just the fact that he's saying that, you know there's a bit of a psychological game going on and I'm happy about that." If Glass plays to his ability, he can impact a game much in the same way Micheal Ferland did two years ago in the playoffs when as a fourth liner, his rock'em, sock'em style had all of the Canucks defensemen off their game. "It's footsteps, that's what we call it," explains Glass. "You hit a guy once, twice, and especially in the divisional games and rivalry games, you play against a guy enough times, it's not fun going back into that corner. "If you get the art of the dump down where those pucks are settling a foot off the wall and they're not an easy play for them. you know as a defenceman that (the forechecker) is coming every time and it's tricky." Flames defenceman Mark Giordano can attest. He's been on the receiving end. Thus, he also recognizes the contributions fourth line players can provide, without hitting the scoresheet. "The first three shifts when he gets in on the forecheck on you and hits you, what it does is force you to move the puck quicker and that creates turnovers," admits the captain. "It does wear you down. If you're playing a lot of minutes especially, the easy game is when you can always face the play and look up ice. When you have to turn and get pucks, it makes it a lot harder." Glass is also a guy you can deploy on the penalty kill, so add another attribute. Not surprising for a guy, who has got himself into over 500 NHL contests, Glass also packs all of those other intangibles that makes some fans cringe, yet character-craving teams embrace. "Great guy in the room, so first of all, he brings that to your group," says Gulutzan. "He's one of those guys that people like to be around and you can tell that right away when you're around him." Let's not forget also that this is an Ivy League-educated player. Just because he fights, he's not a dummy. The prairie kid from Regina, who was a ninth round draft pick of the Florida Panthers, went to Dartmouth College for four years. In his third and fourth seasons, he averaged just under a point-per-game. In his senior year, he was team captain. As for the fan argument that if Glass was any good, he wouldn't have to settle for a PTO this summer, does the name Kris Versteeg ring a bell? Sure, last year was a rough one for him, spending the early part of the season in the AHL before getting recalled by New York in March when the Rangers needed a spark. But Glass is feeling good now, still riding the high of last year's playoff success when he chipped in a goal and three assists in his seven games. "There are those dog days of the winter when you're in the minors and you're wondering what the heck am I doing there, but it was a good confidence booster that I know I can come back and play well and have an impact," says Glass. "It gave me confidence that I can do it again this year." It seems that there always has to be that one polarizing player every season that divides the fan base. Coaches like Glass, teammates like him, some fans like him, yet other fans -- well, not so much. Engelland was that guy three years ago, who certainly came out on the other side with a ton more fans than he had going in. That's a rare journey though. Usually, once you've been labelled, there's no digging yourself out. Troy Brouwer will know a thing or two about that. When two weeks ago, Glass laid that big hit in the corner against Vancouver then scored a goal seconds later, I summarized the sequence in a tweet. That tweet instantly made it's way to the Big Apple where in the process I heard from all sorts of Glass fans already missing him. It was interesting. I know he's got his detractors, but seems he was beloved too. Much like Engelland. With the love-hate relationship already started, it will really kick into gear when things get going for real on Wednesday night in Edmonton. "It wasn't easy, by any means, but I'm proud of the camp I had," says Glass. "My family has been behind me the whole time, supporting me and made it a lot easier. I'm just looking forward to getting it going now." So is everyone else -- players, coaches, media and fans too. Well, most of them, anyway. I think the blow will be softened if Jankowski gets into the line up on an every night basis. It seems most of the disdain for Glass (other than the fact that he has been one of the worst players in the NHL over the past 5 season according to advanced stats) is that his spot in the line up could mean Jankowskis ticket out of the line up. I think that is the frustration. Getting scored on more than he produces goals. Getting outshot on when he's on the ice by an insanely high margin. It's almost a curse that these are considered advanced statistics because they're so simple. Anyways, great post. I would say that the signing of Glass has zero to do with the Mark Jankowski demotion. Sure, they happened on the same day, but that's the only connection. Calgary was always going to be adding some sort of toughness at wing on the fourth line. The only formality was who? Eventually it came down to Hathaway or signing Glass and demoting Hathaway (which will happen after the Edmonton game to make room for Jagr). So that role was always going to be on the team. Jankowski, as a centre, lost his job to the likes of Matt Stajan, Curtis Lazar or Freddie Hamilton. All three are forwards that can play center. While personally, I would have kept Jankowski and waived Freddie Hamilton, that's not what they did. But that's where Jankowski's job went, don't blame Glass for that. This is the same stance you took on Troy Brouwer and a lot of other Flames moves. If people dislike it it's because they're just negative people and refuse to just be happy. It's entirely possible for someone to objectively not like the moves a hockey team makes and be a very happy person in real life. Those are entirely mutually exclusive. People were painted into the same corner when it came to Brouwer. When people indicated their were warning signs of his play and that his underlying numbers had gotten terrible when he was first signed, people were deemed as being too negative and not understanding what a great guy he was. It's okay to just not like a player and believe the Flames made a misstep and still like the Jagr signing and be a happy person. Call it a stance if you want, but I like to use this space to play devil's advocate to popular opinion. I feel something I can bring to the table is perhaps some alternate angles into issues or decisions that maybe haven't been thought of. Today, I was doing two things, summarizing the reactions on social media, but also sharing the perspective of the coach, player and another teammate and former opponent of Glass. You can take their words and disagree all you want, but that was my intention. Thanks for the note. Simply put; Tanner Glass absolutely outplayed the other incumbents auditioning for fourth line mucker. I am happy for him, he earned this. Also, smash mouth hockey brings entertainment value (at least to me). The real problem is that Jankowski outplayed all of the fourth line auditions, and arguably 1-2 of the top 9 regulars as well. And here we are with him assigned to the AHL. Calgary loves a lunchbucket team. Platitudes of "Always earned,never given" Mean less than nothing when they only fit when convenient. At the end of the day, hockey is a business. The Calgary Flames, as we've been reminded daily by Ken King in the city section of the newspaper the past month, is also a business. With that come decisions that the stakeholders believe are in the best interests ot the business. For example, Calgary has invested in Curtis Lazar. They're going to give that stock a chance to climb. They've got a great young defenceman, who seems to be part of a package deal with his brother. They really like where Hamilton's game is at on the blueline, so not messing with the formula is how that goes. As for Jankowski, he's waiver-exempt so that makes him easier to demote. Clearly they also value seeing him play top line minutes in the AHL as opposed to 4th line minutes in the NHL. Jankowski may not be, but they do have his long-term best interest (and their own) in mind, I assure you of that, even though it may not feel like that to you, from afar. Trust that there was a long conversation with Jankowski today to make sure he understood that it wasn't performance that got him demoted, that he's close if not NHL-ready and to be ready as one injury and that's inevitable, he could be right back here again. The issue (for me) with Jankowski is that he "is not" a 4th line Center! So playing him as a 4th just does not present a recipe for him to succeed. He is actually better of playing in the AHL then playing on the 4th line. 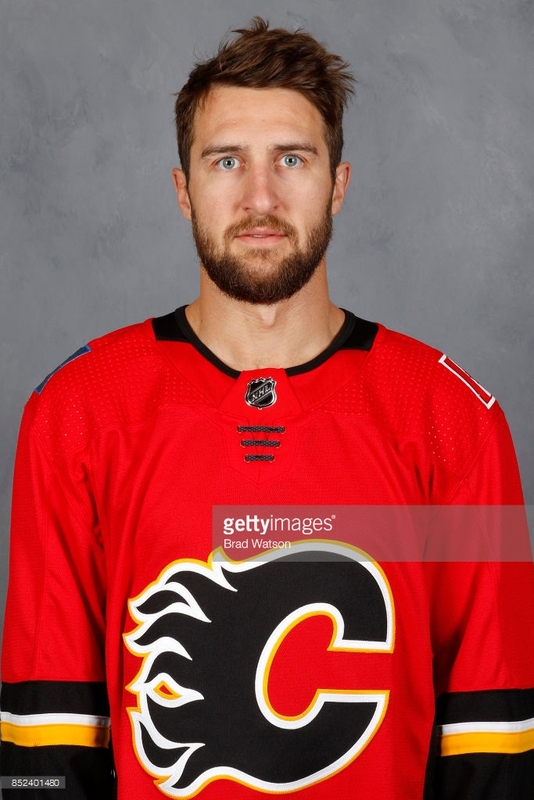 This being said, if the flames intend to play Janko as a Center then where will he fit in the roster? Mony, Bennett And Backs are our top 3.... with Janko showing he is capable of making the leap to the NHL does this mean they will be trading Backs by the deadline? Really doubt they would trade either of the other 2, but will they trade Backs??? The only alternative is to move Janko or Bennett to the wing? We could use another highly skilled winger but more a RW and right shot as the top 2 LW slots are full!!! What can you say, this coach seems to like to court controversy! Signing Glass for me is not what caused the outrage from the fans. Most of us get that he was assigned a job and did enough to earn the job. Personally I believe the team needs to get more skilled than tougher. We need to have 4 effective lines to be a contender and a line of Glass/Stajan/Hathaway(who will give way Brouwer) is not that. Janko being sent down for FHamilton and Lazar is what frustrates me. I believe a 4th line centered by Janko gives this team a better chance to win while allowing him to develop. But if the choice was the Press Box or Stockton then going to Stockton with a clear mandate to Huska to play him in the most difficult situations with other guys who are nearly ready is something I can agree with. Your definition of "effective" is what varies from how the team views it for a fourth line. Sometimes there just isn't enough skill that can play at NHL speed. Think about Derek Grant. Lit it up in the AHL, like 27 goals in 36 games, always a point-per-game guy. In his NHL career, 0 goals in 87 games. Sure, you can trot out a 4th line of guys of that ilk and hope they produce on occasion while working around the perimeter, or you can take the approach of hey, we have three solid lines in our top nine. We want them on the ice as much as possible. Every now and then to give them an extra breather or to get the bench a little rise, we'll roll out three guys that play in straight lines and will make life difficult on the opposing defencemen. Hit them, hit them again, reduce their 'HP' (health points) to quote my gamer kid. Hoping for four scoring lines is a pipe dream in my view for a 31-team league and you're only going to hurt yourself by taking away ice from your top guys if you have any intention of playing them more than that 6-8 minutes. Today's model is a top nine and a serviceable 4th line of guys that can bring energy, wear down the other team's D, play a bit on the PK, and can spark the team. I just don't think there's enough talent nor cap space in a team's budget to try and squeeze out skill from that group. Of the current mix, I'd play Jankowski on the 4th line to give him some NHL service time, but of the others, Stajan? Hamilton? Lazar? What are you getting from them. I'll take 6 hits and an aggressive forecheck from guys like Glass and Hathaway. But that's just me. Well, it's also Gulutzan tonight. Darren: I just wanted to clarify what I mean by having 4 effective lines. I won't go into the top 3 lines as I think once we add Jagr to the mix we should have 3 lines that fit my idea. The 4th line needs to be defensively responsible, that can include being body bangers but I don't want to cringe every time they are in the DZone, all three players need to be able to play on the PK and help push possession. At least one member has to have the potential to move up the line up if needed. A line of Glass(although ultimately I would like an upgrade) Janko and Hathaway is close to what I would be looking for. Hopefully a guy like Poirier could enter this kind of mix. I think there are some young guys who can bring that kind of energy and may have some more offensive upside than Glass. I also believe that Janko and Hathaway played well together in the AHL. Makes sense and I agree. Cheers. Good article Darren. You provide a much calmer view than some of the writers elsewhere. A few people have started speculating on trades (dreaming of Troy) to make room for Mark. I suspect it's just wishful thinking but have you heard any credible whispers in this regard? I know they view Jankowski as an NHL-ready option so it would not surprise me if the GM is looking into options to perhaps move someone currently on the roster. I'd call that speculation only but it's pretty safe as he's always looking into ways to make his team better and that would be one way to do so. So it's a safe bet he's looking into something. But whether something comes to fruition, we'll see. Thanks for the note. Darren: As we have not seen much of Lazar can you tell us what his perceived strengths are. Can he be an effective defensive forward? Does he skate well enough? He can be those things, but we still wait to see it. But I feel it make take a while still before we know because of how Ottawa mismanaged him. I see that Lazar is going to get a chance to play with Versteeg and Bennett tonight; here's hoping he plays well. Play with emotion, play hard, have fun and show you belong. You brought up Milan Lucic, Patrick Maroon, Zack Kassian, Darnell Nurse, Corey Perry, Josh Manson, et al. The difference here is most these guys are actually pretty good, while Tanner Glass isn't. I'm all for adding some toughness, but it would be nice if it could be combined with a modicum of skill. It would be nice, for sure. That's why they invested a second round pick on Hunter Smith a few years back. That's a really hard commodity to find and they don't have any wingers that fit that description today. It's a band-aid, it's short-term, but he brings a quality they feel they don't have enough of -- at least, when up against certain opponents. I don't expect him to be a guy who plays all 82 games. That said, some of the supporting cast need to show something too, to show they can contribute something... anything. Yes, and there are some obvious choices like Brouwer who . . . well, I hate kicking a guy when he's down, but there's zero emotion in his game. It'd be nice to see him get pissed-off once in awhile, wash a face or two in the crease instead of just skating away. That, more than anything, is what the Flames need from him. I couldn't care less if ever scores another goal, if he'd just be big, mean, and hard to play against. I could overlook any of his other shortcomings if he'd give the Flames that.